The line-up of shows in the Chattanooga Theatre Centre’s 2018-2019 season will be led by a new and diverse group of guest artists as well as some of Chattanooga’s finest theatre professionals. 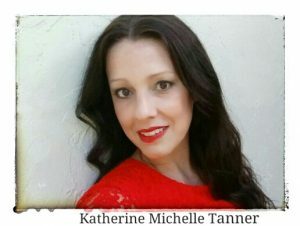 Guest directors lending their talents next season include Katherine Michelle Tanner, a Sarasota-based director-teacher, who will be directing Disney’s NEWSIES. Local arts leaders will also direct on the CTC stage, including local director and CTC staff member Ricardo Morris for August Wilson’s FENCES; Garry Posey, Artistic Director of Ensemble Theatre of Chattanooga, for THE LAST FIVE YEARS; and Magge Cabrera Hudgens, an acting and technical theatre teacher at Center for Creative Arts, for LITTLE SHOP OF HORRORS. MURDER ON THE NILE will be directed by local theatre worker Courtenay Cholovich, and CTC Executive Director Todd Olson will direct A CIVIL WAR CHRISTMAS: AN AMERICAN MUSICAL CELEBRATION. Musical directors set for the season include Neshawn Bynum Calloway, the vocal music teacher at Center for Creative Arts (for ONCE ON THIS ISLAND, JR.); playwright and Orchard Knob Elementary School principal LaFrederick Thirkill (for A CIVIL WAR CHRISTMAS); and Dexter Bell, director of bands at Howard High School (for LITTLE SHOP OF HORRORS). Local favorites Tim Hinck (THE LAST FIVE YEARS), Jennifer Wilson (AVENUE Q), and Grammy Award-winner Michael Huseman (NEWSIES) round out the team. CTC Youth Theatre Director Scott Dunlap will direct and design all facets of A WRINKLE IN TIME, ONCE ON THIS ISLAND.JR., THE TALE OF PETER RABBIT, and A CHARLIE BROWN CHRISTMAS; the holiday show will be directed by CTC Director of Education Chuck Tuttle. The ONCE ON THIS ISLAND, JR. team will include freelance choreographer Jessica McCuiston. Other choreographers include Andrew Parker, Artistic Director of the Chattanooga Ballet (NEWSIES), and CCA theatre faculty member Jessica Laliberte-Bowman (LITTLE SHOP OF HORRORS). CTC production coordinator and in-house designer Sarah Miecielica will design the sets for THE LAST FIVE YEARS, A CIVIL WAR CHRISTMAS, FENCES, AVENUE Q, and LITTLE SHOP OF HORRORS. Other set designers include Tampa Bay-based Frank Chavez and Adam Miecielica, Assistant Professor in the UTC Theatre Department. CTC Costume Shop Manager Vena Champion will design costumes for NEWSIES, THE LAST FIVE YEARS, AVENUE Q, MURDER ON THE NILE, and LITTLE SHOP OF HORRORS. Other costume designers include local fashion designer Tinita Coulter (FENCES). Other lighting designers include Alice Trent, an MFA lighting design graduate candidate at the University of Tennessee (NEWSIES); Julius Johnson, a recent graduate of Art Institute Atlanta (FENCES); and local favorite Bill Banks (LITTLE SHOP OF HORRORS). The stage management team includes Angie Griffin (NEWSIES), Teralyn Wade (AVENUE Q), and Rodney Strong and Tia Strickland (LITTLE SHOP OF HORRORS). For more information about the CTC season, call 423.267.8534 or visit TheatreCentre.com.